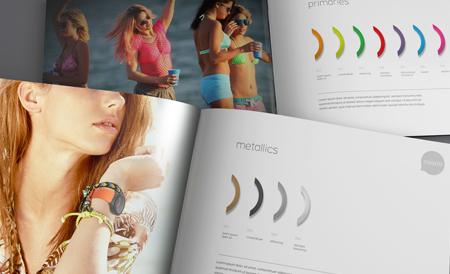 As of March 2015, there were 293 wearable devices in the market including 179 lifestyle wearables. 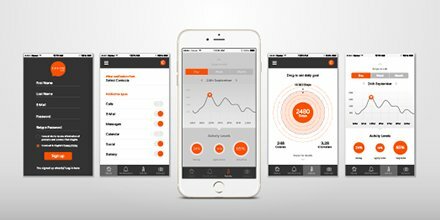 More steps are being counted, more sleep patterns are being logged, and more activities are being monetized in the form of a mobile app – though most of them generate largely trivial information. 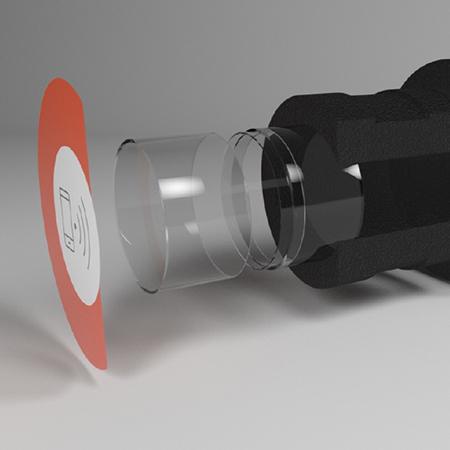 At an average price of US$250 and equipped with a myriad of functions, wearable is the latest trend in technology. 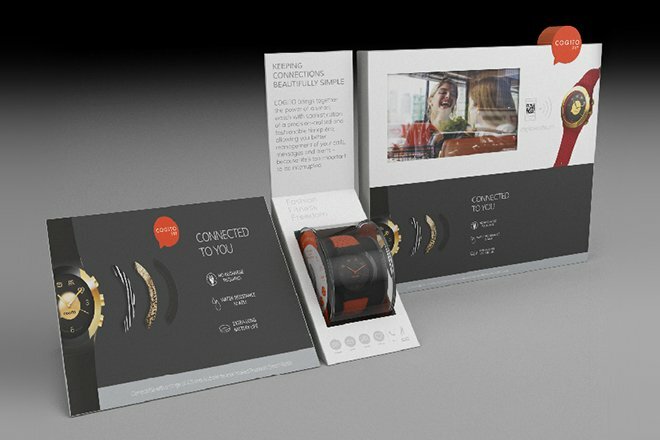 ConnecteDevice is one of the first wearable tech companies in the industry, specializing in designing personal portable devices, including watches, chargers, and Bluetooth headsets. 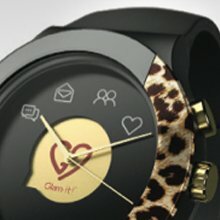 In recent years, we have seen the market become saturated with innovative late entrants, such as Sony’s Within Reach, Pebble, Fitbit, etc., which in turn creates a significant disadvantage for the first-comers. 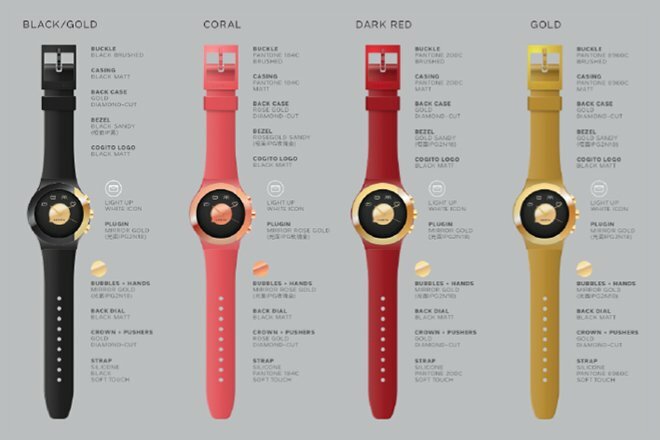 In the face of these considerable challenges, Base Creative helped Connected Watch to rebuild its brand from the bottom up – identifying strategic priorities, refining their business model, and relaunching their Cogito Pop brand to become a first-to-mind mass market connected watch brand. 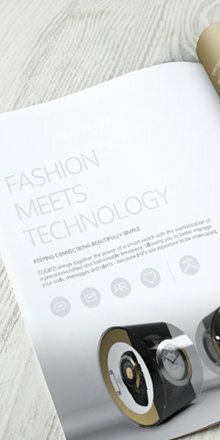 ConnecteDevice has three retail brands – Cookoo, Cogito Classic and Cogito Pop. 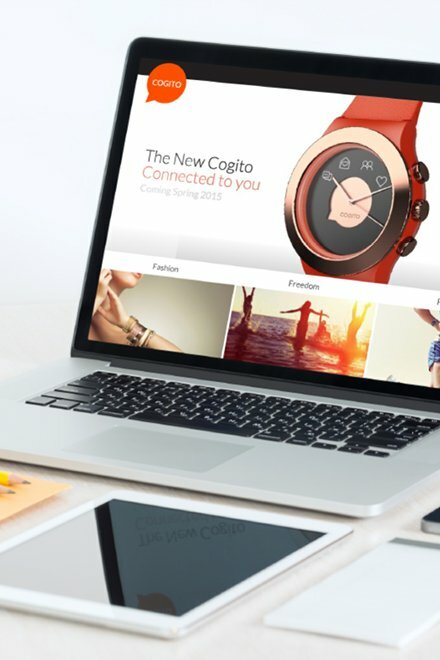 Cogito Classic is feature-rich and targeted at consumer electronics customers, whilst Cookoo and Cogito Pop are aimed at the fashion watch market. 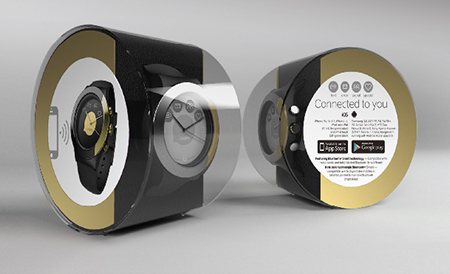 Connected Watch faced many challenges from both international competitors and ever-changing iOS and Android updates. 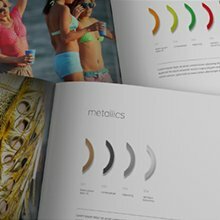 Base Creative helped design the business’s most appropriate growth strategy and business model based on core strategic opportunities. 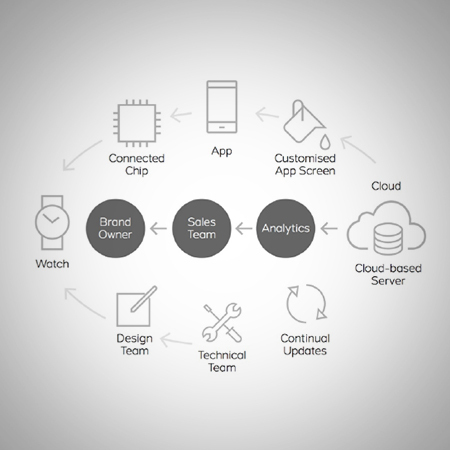 We undertook rapid prototyping of price, customer segmentations, product design and brand strategies to arrive at the right go-to-market strategy. 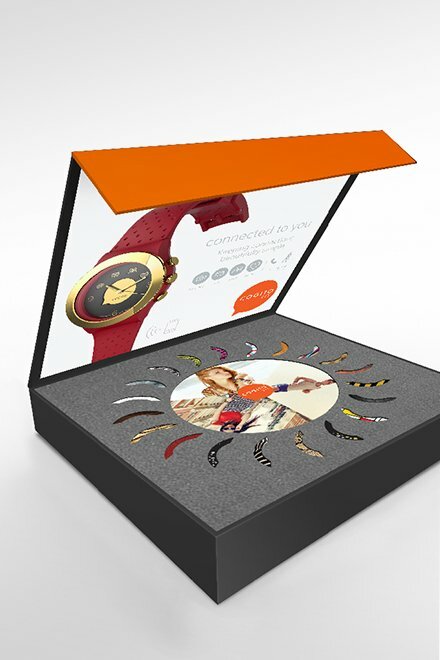 Extensive in-depth trend and fashion analysis was undertaken to improve the value proposition across customer segments. 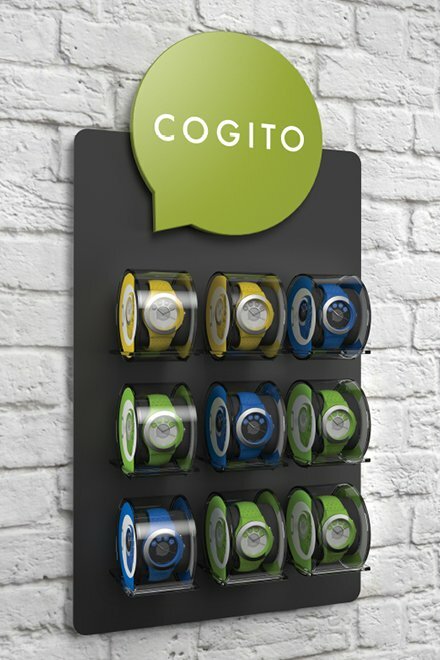 In view of the ever-increasing digital distractions, Cogito watches connect all the wearer's calls, tweets,and texts in one place. 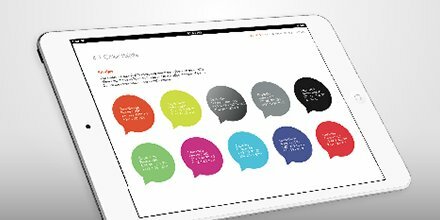 We wanted the brand identity to reflect this, with the logo being able to express a sense of connectivity – not just connectivity between mobile apps but also human interactions. 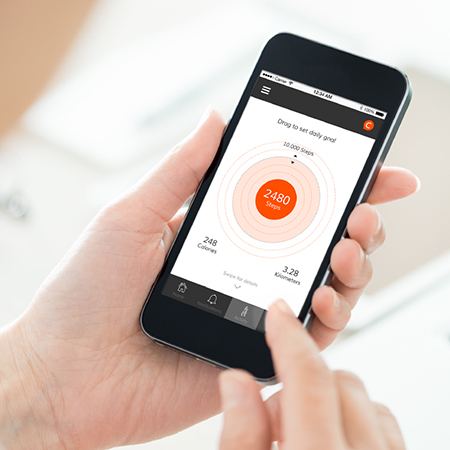 Based on this, the identity system portrays a balance of communications – between home, work, and social. The opening on one side and the closing on the other represent an ongoing conversation, uninterrupted. 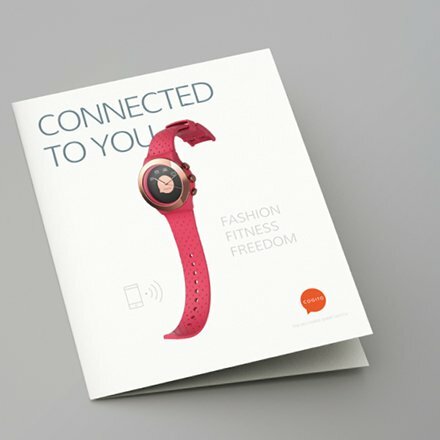 From our foundational analysis, we discovered that more than half of US consumers who have owned a wearable no longer use it after 3-6 months, or have switched back to traditional watches. 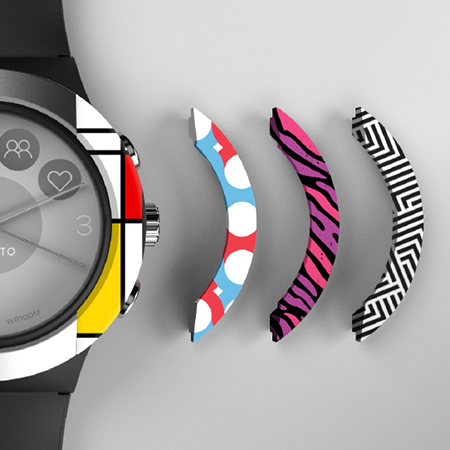 Compared to traditional watches, wearables lack the design and basic utilities a decent timepiece possesses. 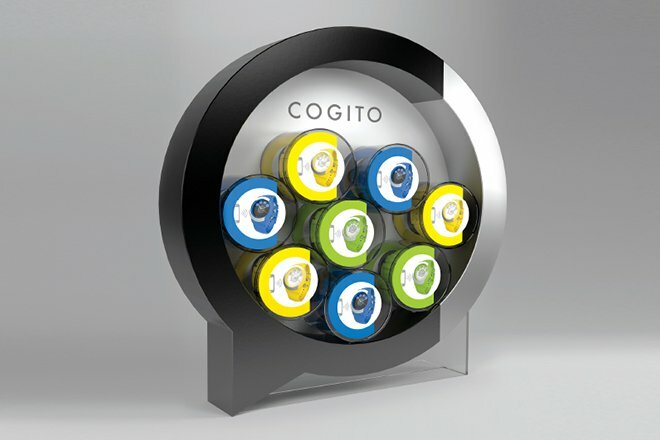 We seek to differentiate Cogito from the consumer’s point of view. After all, it is the people, not the industry, who really define the brand. 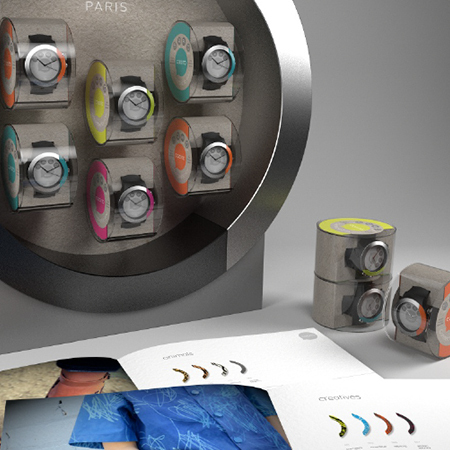 As a result, we started with 7 design directions that would describe what a consumer would look for from a watch. 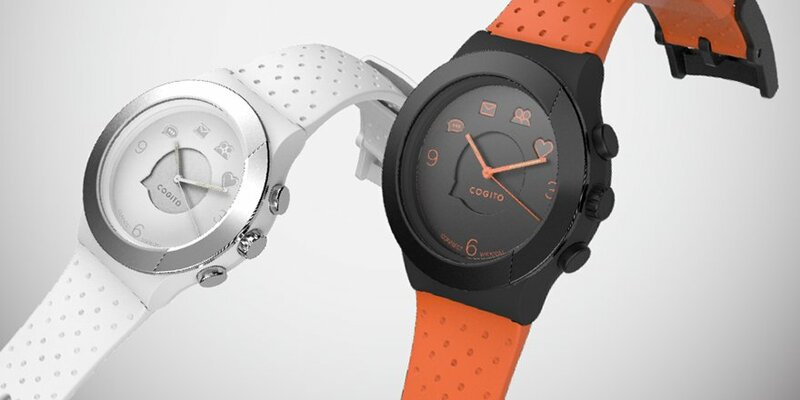 Cogito watches come with a two-year battery and a waterproof design, which differentiates them from any other connected watch brands in the market. 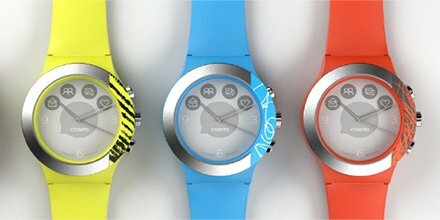 Many gadget reviews refer to Cogito as the no-charge smart watch. 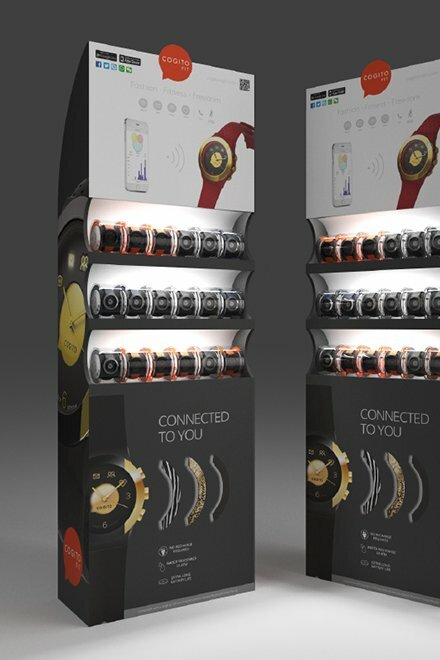 They also use Bluetooth low energy for connectivity and are supported by their proprietary technology platform – Connecteddevice, an iOS and Android based app that manages a ranges of notifications on the watches. 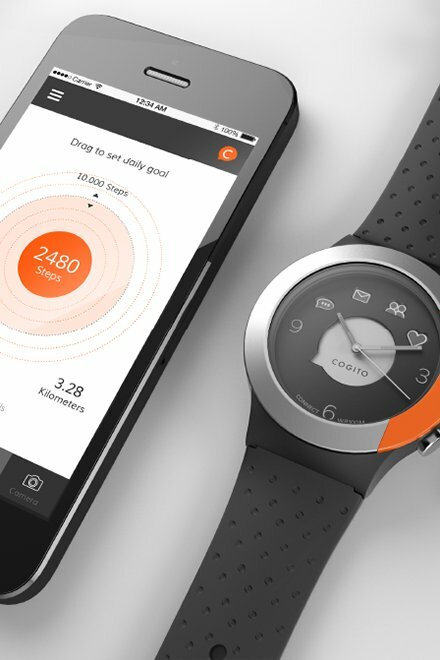 As a watch that requires no charging, it essentially gives more freedom to your life. 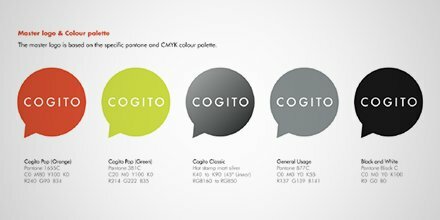 We helped Cogito to build the brand around the concept of empowering the user with more time and space in everyday life. 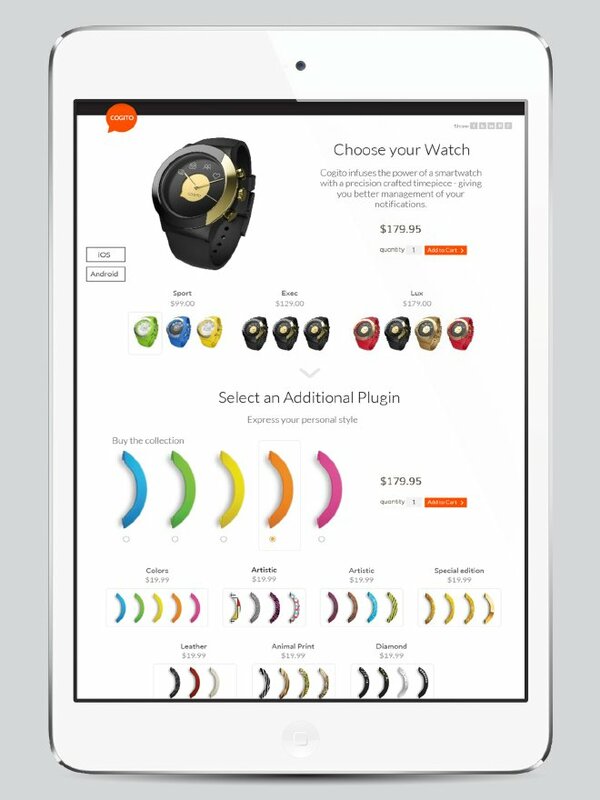 We shunned grandiose interfaces and flashy effects, and instead we reduced the interface to 4 axiomatic icons. 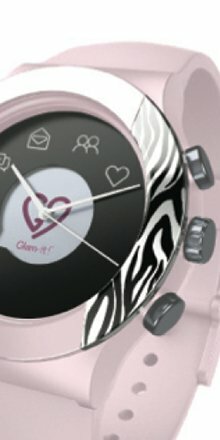 For example, the heart icon represents favourites, while the people represent “social”. 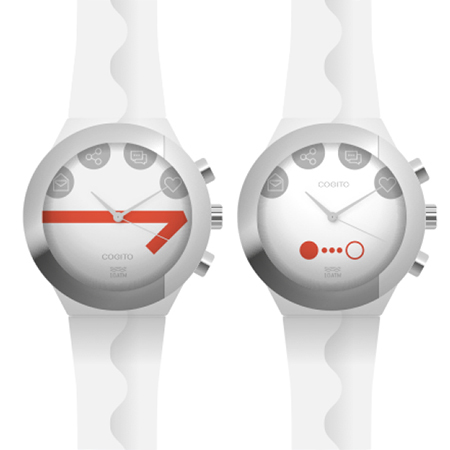 By using strong iconography, Cogito can communicate what the watch does in an intuitive way without wasting pixels on a label. 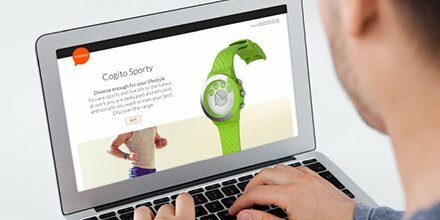 Conducting extensive qualitative and quantitative research, Base Creative set out to find out what consumers think about designs in watches. 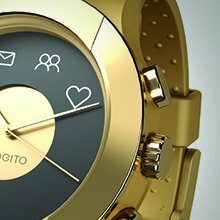 Taking into consideration how the form can follow the function of the watch, we have kept the user interface unassuming yet innovative. 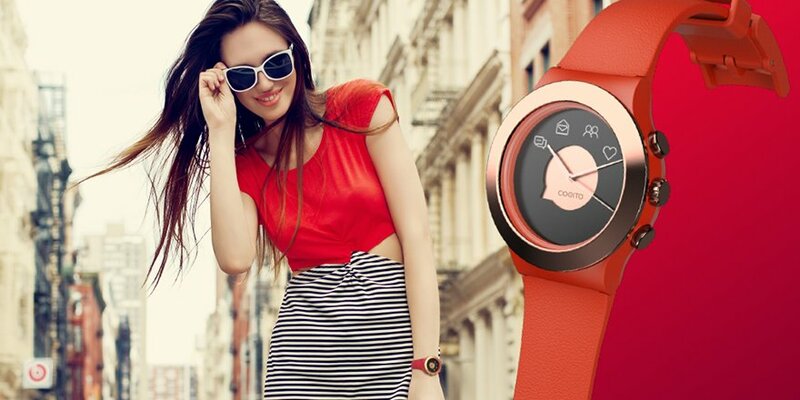 What isn’t appearing in the wearable industry is sustainability and eco-friendliness. 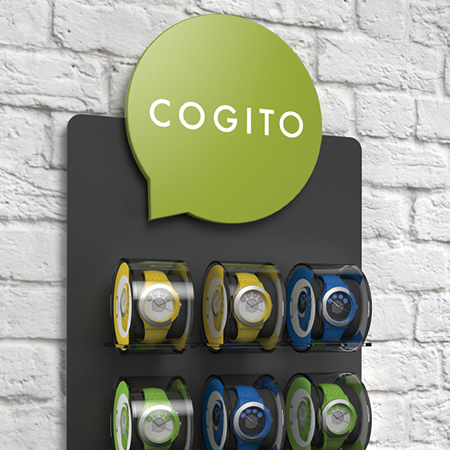 Working with Cogito, Base Creative helped to establish an environmental standard in this business while also helping the client to reduce costs. 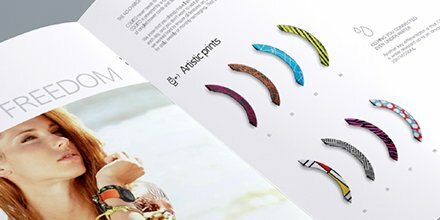 The physical touchpoints were designed with both differentiation and sustainability in mind. 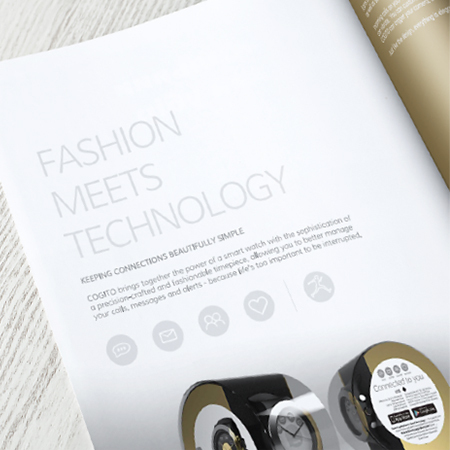 This meant that not only were environmentally sustainable materials used – but also the design grids and formats were very efficient so that the 10 language versions use the least amount of actual printing. 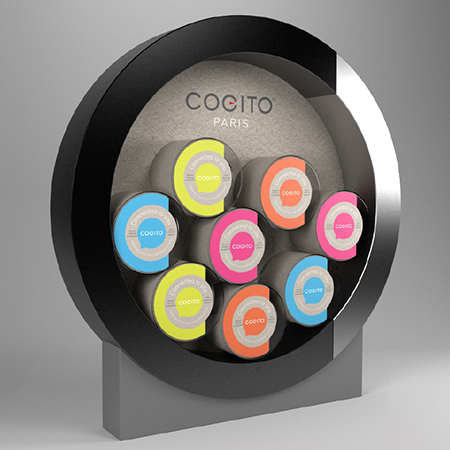 The product packaging is recyclable, while serving as advertising and individual self-merchandising point of sale materials.